Sharon is a Judy Niemeyer Certified Instructor using the paper piecing technique. 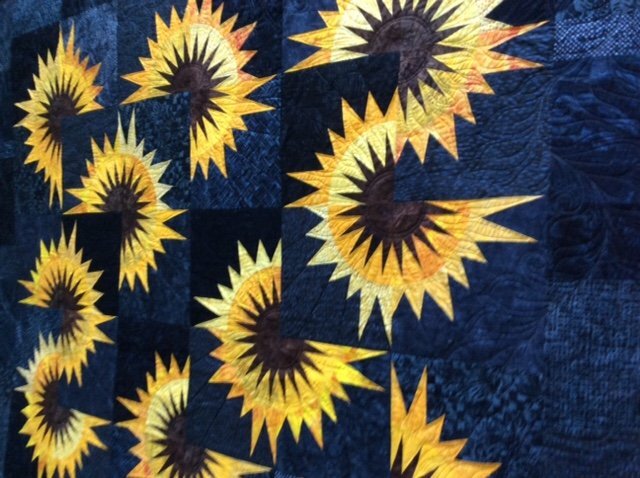 Take this class and make this stunning Sunflower Illusion 62" x 72" quilt. Sharon welcomes all levels so don't be intimidated, ''You can do this." Her individualized instruction will meet all levels. One reason the quilts are so beautiful is because you can sew with accuracy. Spend 2 days,leave your machine and supplies overnight, and create this fun to do quilt.